At UKB we are always on the lookout for coins to purchase and will travel anywhere within the North West or North Wales or even further. We have been established since 1999 and have many thousands of very happy customers. A fully qualified representitive will come to you and will make an offer on everything you want to sell, we do not cherry pick. Appointments are available at a time to suit you and we can pay by cash, bank transfer, paypal or cheque - whichever you prefer. What do we buy? Which area do you cover? What do I do next? We are fully experienced and qualified to grade and value any coin or coin collection, world or foreign, gold, silver or base metal, and always offer the best prices. We're that confident that we always suggest you come to us last! 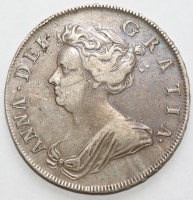 We're interested in any type of coin or coin accumulation/collection along with related books, accessories, banknotes etc. 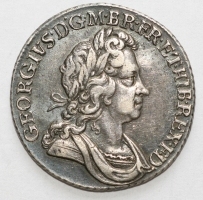 We can also purchase any militaria, medals, medallions or tokens. We have several contracts with charities/charitable type organisations but are always looking for more. If you live further afield we can always arrange a postal valuation which if not accepted will result in all your coins being returned to you via registered mail at our cost. You can call us on: 01606 783045 or email at dave@ukbis.net for a free appointment. We will then offer a price for your coins upon viewing based on current market values, you are under absolutely no obligation at any point. Remember there's no charge whatsoever to call us out. If you decide to go ahead we pay immediately and if not we can advise on what your best next step may be. You're always welcome to visit us a Winnington Hall in mid-Cheshire (no anonymous P.O. Box for us!) but do please call ahead as we are very busy.